Have you ever dreamed of living during the Reformation? I have. But guess what? A new Reformation has begun, and you and I are living in the middle of it! 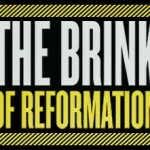 This post looks at how we know we are living in a new Reformation, and seven of the changes that we can expect to see within the next several decades. I believe in the five solas of the Reformation: Sola Gratia, Sola Fide, Solus Christus, Sola Scriptura, and Soli Deo Gloria. In English we might say that what we have from God is “by grace alone, through faith alone, in Christ alone, according to the authority of Scripture alone, for the glory of God alone.” But I am neither a Calvinist nor an Arminian. I believe that the Reformers and their followers stopped short, and we must keep reforming what they taught. 9 Tips on Preaching from Martin Luther. The 9th is key. 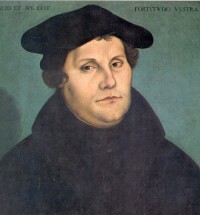 Martin Luther once provided nine things that every preacher should know before they stand up to declare the Word of God. Here they are.